Google was a proud participant of the 2012 AISES National Conference, which was held in Anchorage, Alaska in early November. This annual conference is organized by the American Indian Science and Engineering Society and it gives Native American students from around the country the opportunity to attend various STEM related sessions such as tech talks, career development workshops, poster sessions and their annual career fair. Group shot in our Google earmuffs after dinner! As an exhibitor at the career fair, Googlers met many motivated students who are building upon their STEM career interests by making the most of the opportunities presented to them both on campus and in the industry. We chatted with a number of students pursuing computer science and IT and were inspired to hear some of their stories about how they continue to pursue their interest in STEM, despite limited access to resources. Another highlight of the conference was engaging with our 2012 Google AISES Conference Travel Scholarship recipients and a handful of earlier Google AISES Scholarship recipients at a Google-sponsored dinner. We had great conversations about their individual career interests and what it’s like to work at Google while consuming delicious Alaskan food. Google is proud to partner with the AISES Organization on diversity initiatives, including the 2013 Google AISES Scholarship. Applications will open in January 2013. For more information on all of our scholarships and student programs, please visit www.google.com/students. The U.S. born Google Games made its way to Japan on November 24, 2012! Google Games is a fun-filled event designed to bring some of the Google culture to students and campus. This time, our first-ever Google Games took place in Kyoto and brought together 78 students from Kansai (the southern-central) region of Japan. Students were randomly allocated into groups of four to five to work on trivia questions, puzzle and coding questions, and a lego building competition. Groups were given points based on their performance and the top six groups were awarded Google swag. The competition heated up even more as students moved on to tackle the puzzle and coding questions. Each group had to come up with a single answer and get it checked and scored by Googlers every time they finished a question. The scoreboard in the room was constantly being updated throughout the game, adding extra buzz and nail-biting moments as students watched over the changing scores. The final game was Lego challenge. By this time, almost every student was up on their feet. A team of Googlers also entered the competition eagerly hoping to outcompete the students, but the Googlers were no match to the teams of competitive students. The day was wrapped up with a mingling time for students to speak with Googlers. Many left happily saying that they got to learn some of the Google culture through the event. Some even said that they loved having the chance to use different parts of their brains. We hope to be able to host another Google Games in Japan in the near future! 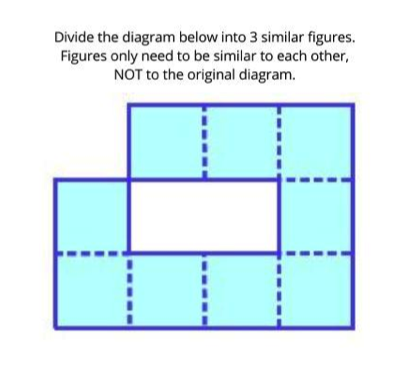 If you are interested in finding out the answer to the above puzzle question, please see our Google+ posting here. Throughout Europe, the Middle East and Africa, teaching computer science at the high school and middle school level presents diverse challenges. For example, in Africa, teachers have limited access to training and curriculum resources. In the U.K. or Germany, teachers sometimes struggle to keep up with fast changing technology or have difficulty demonstrating that computer science can be a rewarding and “cool” career choice. To help teachers address these challenges, the annual Google CS4HS (Computer Science for High School) grant program provides funding to universities, community colleges, and technical schools to work with local high schools in order to give teachers the tools they need to bring computer science and computational thinking into the classroom. With the CS4HS grant from Google, faculty can develop three to five day hands-on, interactive workshops for teachers to learn how to teach computer science (CS) to their students. Some programs are geared toward CS teachers, while others are for non-CS teachers who want to incorporate CS into their curriculum. No two programs are exactly alike, and it is the creative and passionate material that organizers develop which makes this program so unique—and successful. In 2012, the CS4HS program funded 50 computer science education projects across 28 countries in EMEA. This enabled some very exciting projects which collectively impacted thousands of teachers and their students. 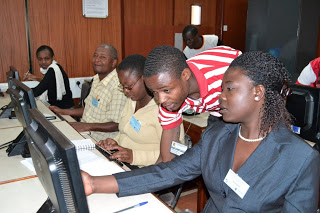 Strathmore University hosted teacher training workshops in rural areas in Kenya, introducing attendees to basic computing concepts and improvements to teaching methods. TU Delft invited computer science specialists from research and industry to discuss the latest developments and present teaching material and tools that can be used in the classroom. At King Saud University in Saudi Arabia, high school female students learnt more about computer science concepts and computer science as a field of study. 2013 marks the fifth consecutive year for the CS4HS program. 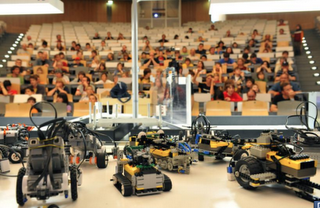 Hundreds of students and thousands of teachers have attended these workshops to date. The alumni are connected to each other, other educators and organizers through the teacher’s forum, which also enables teachers interested in CS education to join the discussion and ask questions. The application for 2013 funding is now open until February 16, 2013. Each region has a slightly different application process, so visit www.cs4hs.com to find specific details for your region, as well as information on the types of projects that are funded and the requirements for the application proposal. We’re excited to help even more educators learn how to bring CS to their students, whether they’re teaching CS, maths, history, or any other subject. Together, we can help inspire the next generation of Computer Scientists. Our Women Techmakers series is back for round two on Google Developers Live (GDL)! In the spirit of the holidays, hosts Megan Smith of Google[x], Lacy Caruthers (Google.org), Angela Lin (YouTube EDU), and Pavni Diwanji (Google+), sit down with women who are using their technical backgrounds to effect social change and make an impact. Join us in-studio Tuesday through Friday of this week at 2:30 pm PST to learn more about how Women Techmakers are giving back in big ways. As a repeat entrepreneur, board director of Kiva, startup and venture advisor, and angel investor, Julie Hanna knows about giving back. Her work at Kiva, a crowdfunding pioneer leading the micro-lending marketplace, has been integral in touching over 800,000 low-income entrepreneurs in over 60 countries, adding up to more than $350M loans delivered. Radhika Malpani, Bridgette Sexton of Google Ventures, and Anita Yuen of Google.org dive into Julie’s experience using her technical skills to make social change. Code for America is a new kind of public service. Join hosts Chris DiBona and Lacy Caruthers in the GDL studio, as they sit down with Code for America founder and executive director Jennifer Pahlka to discuss how she is working on the technical side with web professionals and cities nationwide to promote public service and reboot government. Codecademy makes learning code easy and collaborative. From Women Who Code and Codecademy, Sasha Laundy joins Amanda Surya and Angela Lin for a discussion of how Codecademy makes learning code interactive, iterative, and fun. More minds are better than one! ClearStreet Inc., a social finance startup, is focused on helping people eliminate debt and achieve long-term financial health. Chairwoman and original Java Project Manager at Sun, Kim Polese, speaks with Megan Smith and Pavni Diwanji about her experience as a leading Silicon Valley entrepreneur and technology executive, and how her work with ClearStreet is impacting users’ daily lives. Catch up on the first WTM series while you're getting ready for this week's lineup. Visit the Google+ events to RSVP, add the episodes to your Google calendar, tune in live on GDL, and ask questions of our on-air guests. And, most importantly, become part of the conversation by hashtagging #WTM posts on Google+. Connect with us at developers.google.com/live. Tune in to live programming, check out the latest in Google tools and technologies, and learn how to make great apps. Attending this year’s LISA Conference? We’ll see you there!
. The LISA Conference is an important annual meeting of members of industry and academia to discuss advances in building, deploying, and managing large-scale systems — and this year, Google engineers and members of our University and Industry Programs teams will be there. Not only will we be on hand to chat with students during the exhibition, we’ll also be hosting a coffee cart during the poster show (we love caffeine!). Both the exhibition and the poster show are open to all with free registration, so whether you are attending the conference or just lucky enough to find yourself in San Diego, please come visit us (dates, times, and details are below). If you do, you’ll get a chance to meet some of our Site Reliability Engineers, or SREs. SREs, once referred to as the ‘world’s most intense pit crew’, are the software engineers responsible for ensuring that all of Google’s services are fast and reliable for billions of users. It’s an elite team that combines software development, networking, and systems engineering expertise to build and run large scale, massively distributed, fault-tolerant software systems and infrastructure. The LISA conference is a great place for SREs to collaborate, learn, network — we hope you’ll join us! Not able to join us for the LISA Conference? Not to worry, we’ll post a recap of the conference here on the student blog. Interested in SRE roles at Google? We’re looking for SRE interns and new grads (those graduating before August 2013) to take on some big projects. To apply, submit your resume and transcript for either our software engineering internship or new grad role and when one of our recruiters reaches out to you, just indicate that you’re interested in Site Reliability. Both events are free, but registration is required. Register on-site or online before the conference here. While it’s never a bad idea to spend December in San Diego, California, this December is going to be even better. That’s because San Diego is this year’s host to the Large Installation System Administration Conference, or LISA Conference. The LISA Conference is an important annual meeting of members of industry and academia to discuss advances in building, deploying, and managing large-scale systems — and this year, Google engineers and members of our University and Industry Programs teams will be there. On Wednesday, December 5th at 7:15 pm GMT we'll be hosting a Hangout On Air to talk about our Summer Trainee Engineering Program (STEP). STEP (formerly known as the Engineering Trainee Summer Program) is a technical internship program for students who have completed their first year of university studies by summer 2013. The program is aimed at students studying computer science or related subjects at a university in Europe, Middle East or Africa. The internship includes three main components: a software project, skills-based training, and professional development. We will have STEP cohorts in five offices this year: Israel, London, Munich, Krakow and Zurich. Tune into to our Hangout On Air to learn more! RSVP here and submit your questions by posting publicly on Google+ with the hashtag #STEPhangout. DeSTEMber features daily activities, experiments and discussions via Google+ with partners like National Geographic, CERN, Scientific American, California Academy of Science, finalists of the Google Science Fair and many more. Learners of all ages can participate in a range of cool activities from making your own lava lamp to meeting a red tail boa constrictor to getting a first hand look at what the scientists at SETI are working on. Are you a science enthusiast who loves to experiment? Don’t miss Google Science Fair Wednesdays. Thursdays will feature a Hangout On Air with the lineup of incredible partners and on Fridays, check out “In the Field Fridays” for the inside scoop on the most interesting career paths and mentorship in STEM. DeSTEMber is presented by Google Science Fair and Girlstart, a nonprofit organization empowering girls to embrace STEM. To catch all the deSTEMber happenings, follow the Google Science Fair and Girlstart Google+ pages, check out the program’s official website, www.destember.org or follow the #deSTEMber hashtag on Google+. Anyone can watch the Hangouts on the Google Science Fair and Girlstart pages, but if you'd like to actually join the live broadcast, please fill out this short survey. Ever wonder what a banana’s DNA looks like? Or how to make electricity using a soda can tab? Curious about what life is like working on a nuclear reactor? Budding inventors and innovators, tune in for deSTEMber, a month long program celebrating science, technology, engineering and math (STEM). More than 2 billion people around the world use the web to discover, work, share, and communicate. This week, Google Developers Live Presents will host a series on Internet regulation and the future of our web. Airing Tuesday through Thursday at 3:30pm PST (23:30 UTC), technical, entrepreneurial, and policy experts weigh in on the economic and social impact of the Internet, as well as its future if we don’t take action. Visit the Google+ events to RSVP, add the episodes to your Google calendar, tune in live on GDL, and ask questions of our on-air guests. 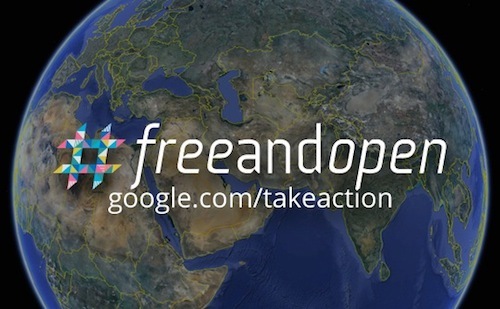 And, most importantly, raise your voice for a free and open web. How can you tell if an application is being throttled? What are the trends in governments seeking access to users' data? Minds behind M-Lab and the Transparency report – two projects trying to empower Internet users with data about the state of the Internet – join us in-studio. Google for Entrepreneurs is helping startups around the world and Engine Advocacy is the startup voice in government. Learn more about what they’ve picked up along the way about the culture of successful communities of entrepreneurs, and policies on the table that may impact them. This week, the world's governments are gathering in Dubai to discuss the future of the Internet. Some governments want to use this meeting to increase censorship and regulate the Internet. Hear from five leading advocacy groups from around the world about what’s at stake. Derek Slater defends the open Internet on Google's public policy team. He supports the company's global advocacy efforts on innovation policy, and recently helped launch google.com/takeaction. … and Go! The Google Code-in 2012 contest has officially started! If you are a 13-17 year old pre-university (high school) student interested in computer science who would like to learn more about open source software development while earning cool prizes, sign up on our program site today. Students have the opportunity to select tasks from 5 categories (coding, documentation/training, quality assurance, research/outreach and user interface) that are designed by 10 open source organizations that will provide mentors for the students. Students earn certificates, t-shirts and Grand Prize Winners will win a trip for themselves and a parent or legal guardian to Google’s Mountain View California campus in 2013. Each of the 10 open source organizations will choose 2 of the 5 students that complete the most tasks with their organization as their Grand Prize Winners for a total of 20 Grand Prize Winners for Google Code-in 2012- that’s twice as many Grand Prize Winners as last year! Last year, 542 students from 56 countries competed in the contest: this year you could be one of the students from around the world learning new skills and making new friends by experiencing the awesome world of open source development. If you’d like to sign up, please review the Contest Rules and Frequently Asked Questions (FAQ) on our program site. You can join our discussion list to ask any other questions. For details on important dates for the contest, see the calendar. If you meet the eligibility requirements you can create your account on the program site and start claiming tasks today! Join us today, Nov 26th, as members of Google’s Open Source Programs Office host a Live Google Code-in Hangout on Air on the Google Education page at 2pm PST to discuss details of the contest and to answer questions from viewers. If you can’t make the live Hangout on Air it will be recorded and posted on our Google Open Source Student Programs YouTube Channel within a couple of days. The contest ends on January 14, 2013 so start claiming tasks today. Good luck and have fun! Below you'll find the recording from our recent Hangout On Air where a panel of Googlers discussed the two 2013 Google Scholarships for Europe, Middle East and Africa: the Google Anita Borg Memorial Scholarship and the Google Scholarship for Students with Disabilities. The panel consisted of a former scholarship recipient finalist (now full-time employee at Google) and senior judges who sit on the application review committee. They discussed what we look for when reviewing scholarship applications, what the application process looks like, and general tips for those interested in applying. Both scholarships are now open and the deadline to apply is February 1, 2013. 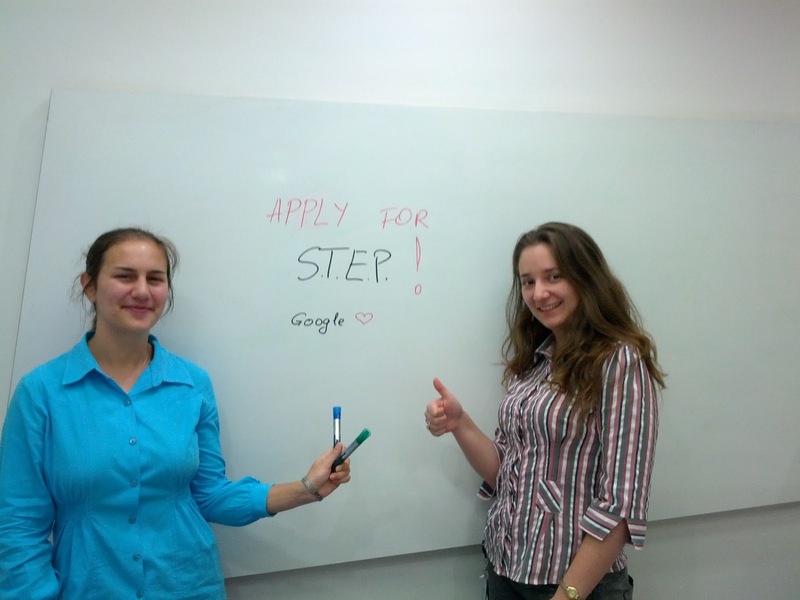 You can find the application for the Anita Borg Scholarship at http://www.google.com/anitaborg/emea. You can find the application for the Scholarship for Students with Disabilities at http://google.com/studentswithdisabilities-europe. Every time you send a text, check a webpage or post a status update, you’re using open source software. The Internet is made of open source. But have you ever created any yourself? With the Google Code-in contest, pre-university students (13-17 years old) can learn more and create open source software that people all over the world can use—and win cool prizes along the way. Starting Monday, November 26 and for the following 50 days, contest participants will work on fun online tasks for 10 different open source organizations. Possible challenges include documentation, marketing outreach, software coding, user experience research and more. Participants earn points for each task they successfully complete and can earn prizes like T-shirts and certificates of completion. 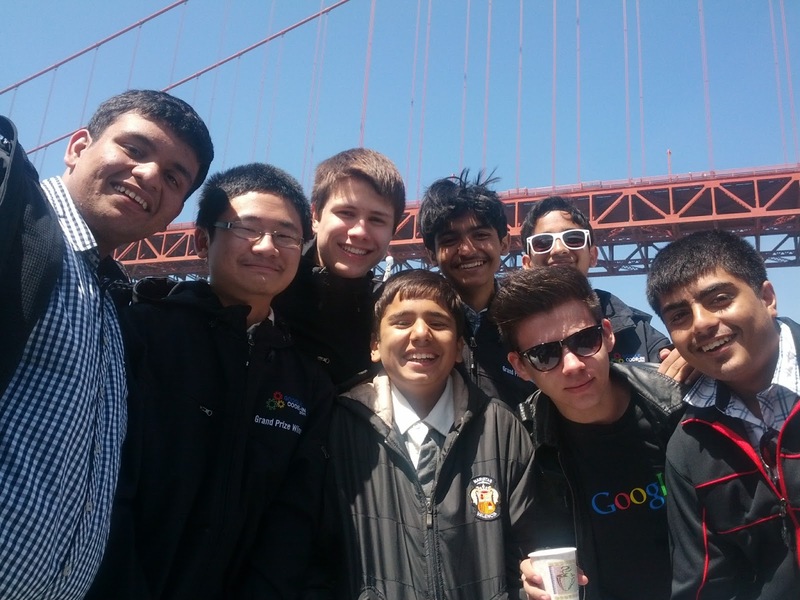 This year we’re doubling the number of grand prize winners to 20 talented students, who will win a trip to Google’s headquarters in Mountain View, Calif. They’ll spend a day getting a tour of the “Googleplex,” meeting and talking with Google engineers, plus enjoy another full day exploring San Francisco and other surprises. Last year, 542 students from 56 countries and 360 schools completed 3,054 tasks during the eight-week contest. This year we want to encourage even more students to participate in the contest and learn about open source development. If you’d like to sign up, please review our Frequently Asked Questions and the contest rules on our program site. You can also watch our screencast, check out some sample tasks from last year’s contest and join our discussion list for any other questions. For details on important dates for the contest, see the timeline. You can register for your account on the program site when the contest opens on Monday, November 26 at 9:00am PST. Finally, our Open Source Programs team will be hosting a Hangout on Air on the Google Education page November 26 at 2:00pm PST to discuss the details of the Google Code-in contest and answer any questions. Last week we hosted a Hangout On Air with a few of our current technical interns and intern hosts. They talked about their experiences as part of the internship program at Google and gave us a sneak peak into what the program is like. You can watch the video from the Hangout on Air below and learn more about available internship opportunities in our North America offices at google.com/students/intern. It’s that time of year when most of our summer interns have returned back to campus, and we begin our search for the next class of technical interns who are ready to make an impact in 2013. 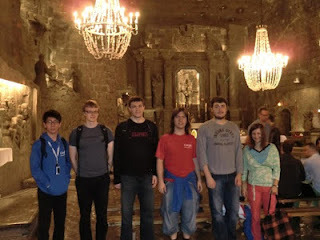 It’s also a nice time to reflect on all the fun intern activities that have taken place such as hiking trips in the Swiss Alps, riding segways through Munich in the rain and visiting salt mines in Krakow. In addition to all the fun, interns in EMEA contribute to large scale projects, help launch products and features, attend seminars, take part in competitions, meet lots of smart people from all over the world and sometimes, get to witness a little bit of history through the first intern exchange visit with CERN! Interns in EMEA have the opportunity to work in 12 different countries and take part in different programs to suit their skills and background. This year we introduced STEP (Summer Trainee Engineering Program) internships for engineering students who have completed the first year of their university studies. The program is based in London, Munich, Krakow and Zurich. Applications for the 2013 STEP internships (formerly Engineering Trainee Summer Program) are now open, check out the application page on Google Students site for more information. Here at Google, I have learnt best practices, I have learnt to optimize, I have learnt to secure, I have learnt to design, I have learnt foresight, I have learnt teamwork, I have learnt to pay attention to detail. I've seen my code improve tremendously throughout the summer thanks to this review process. Basically, I have learnt to code like the professionals, like a real programmer. Applications for this program are also open now, check out our application page for more information. You must be a student and you must be studying at a university based in Africa. If you are interested in becoming part of any of our intern programs in EMEA, apply here for our 2013 internships. You’ll have the chance to work on impactful projects and have a world class internship experience! Tell us your name, university, major and any other relevant background info. Elena: My name is Elena, I’m currently going into my second year at Bucharest University, studying computer science. The last relevant thing I did prior to STEP was a Girls Programming Camp at college. I first started programming in high school but participated in mathematics competitions before that. Mariana: My name is Mariana, I’m currently going into my third year at the Politehnica University in Bucharest, studying computer science. In high school I was really into mathematics and physics, but now l enjoy informatics, the logic behind it, as well as solving problems. How did you find out about the STEP Internship? Elena: Actually this is funny. I accidentally saw a friend like a link to STEP applications on a social network and didn’t expect to get a response so quickly after applying! Mariana: I saw an email from a Google Student Ambassador at Politehnica and applied, as I thought this internship suited me very well. Elena: I already had lots of plans for the summer but I thought it would be interesting to do interviews and have the experience of doing some phone interviews at Google! Mariana: I thought it would be nice to apply for an internship at Google. The perception is that for standard internships, you need to be in your 4th year or beyond but this internship is targeted at students in the earlier years of their studies. It sounded great so I thought, why not apply? What did you do during your time at Google? Elena: I worked on the Mobile team and did lots of coding! I worked on re-writing some code, refactoring as well as implementing a UI! Mariana: I worked on Geo, mainly on front end work. I also learnt to interact with loads of people in different areas as the project used lots of different technologies. Elena: Absolutely everything ...well, after finishing reading tutorials! The first two weeks were overwhelming and tough, but after that I found my feet. Mariana: I loved meeting new people and finding out about their projects. I also enjoyed working on a visual project and to see people excited about some aspects of my work during my final presentation was great! What did you get out of STEP? What skills did you gain? Elena: I enjoyed learning from hands on experience rather than only doing coursework. It was great to learn more about Google specific technologies and new concepts like version control. I also got a taste of managing a healthy work-life-balance. Mariana: I learnt what writing good code is all about. 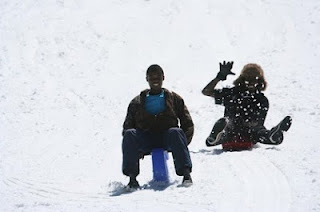 I also learnt how to apply the things that I learnt and discussing different methods with others was also fun. Elena: I’m going back to university and would like to do a summer internship every year from now. Mariana: I’m going back to my 3rd year and looking forward to a graphics course and catching up with friends. I’m also actually looking forward to homework and coding assignments. Hopefully next year I’ll be back at Google! Do you have any advice for anyone considering applying to the STEP Internship? Elena: Yes: once you find out what team you will work with, read as much as you can beforehand. As the last of our EMEA Summer Trainee Engineering Program (STEP) interns finish up for summer 2012, we sat down with two of our London based interns to discuss their time at Google, what their plans are for the future and quizzed them for more insights into STEP for next year’s students! We’re also pleased to announce that applications are available for STEP 2013. Now you can learn more about our Technical Intern Program in North America this Friday, November 9th at 10 am PST/1 pm EST on the Google Students page on Google+. Current interns and intern hosts will talk about their experience and give you a sneak peak at what our intern program is like. Haz question? You can submit your questions and vote for previous ones here: http://goo.gl/En9Kd or post your question and the hashtag #GoogleInternHangout on Google+ or Twitter. Can’t catch it live? 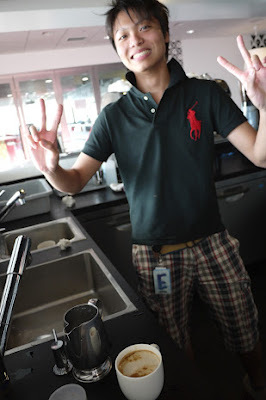 No worries, we will upload the recording to the Google Students YouTube Channel: http://goo.gl/xaAIo. Learn more about our Technical Internship opportunities at google.com/students/intern. 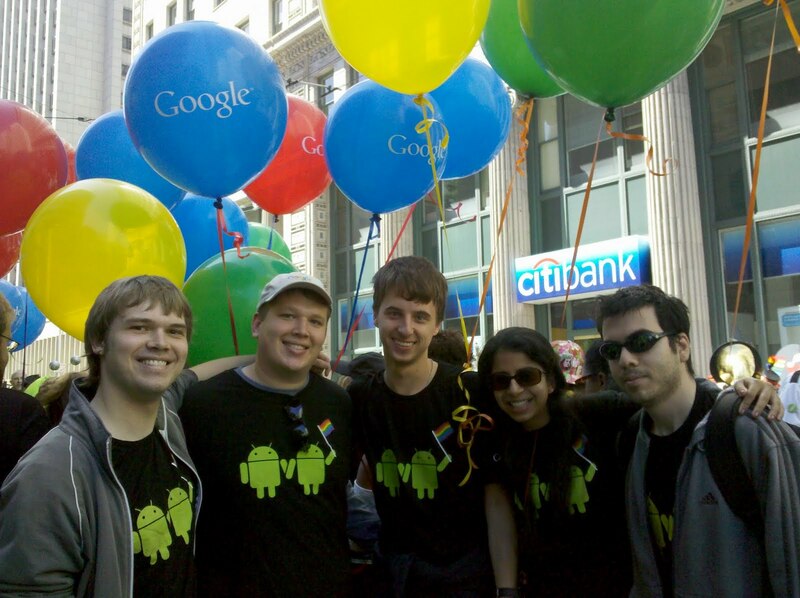 Our interns explore new ideas, accelerate the launch of new product features, and are big contributors to Google. 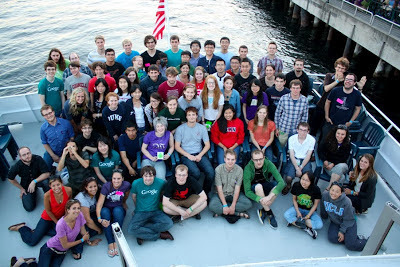 Technical interns are embedded in every major engineering team at Google where their impact is unconstrained by titles. , we’re hosting a Hangout on Air on Monday, November 5 at 16:30 GMT (find your local time here) from the Google Students page on Google+ to help prepare interested applicants. This Hangout on Air will feature a panel of former scholar recipients who are now Google engineers as well as two judges who sit on the application review committee. We’ll be giving general tips on what we look for when reviewing applications, answering questions about the application process and sharing experiences about the retreat. You can submit your questions and vote for previous ones here or by using the hashtag #emeascholars on Google+ or Twitter. No worries if you can’t watch the Hangout live - we will upload the recording to the Google Students YouTube Channel. Following our 2013 Google Scholarships in EMEA announcement, we’re hosting a Hangout on Air on Monday, November 5 at 16:30 GMT (find your local time here) from the Google Students page on Google+ to help prepare interested applicants. This Hangout on Air will feature a panel of former scholar recipients who are now Google engineers as well as two judges who sit on the application review committee. We’ll be giving general tips on what we look for when reviewing applications, answering questions about the application process and sharing experiences about the retreat. Apply now to Google’s diversity talent programs - don’t miss out! We're pleased to announce that we’re accepting applications for CodeF, TechAbility and Top Black Talent, which are all part of Google’s diversity talent programs in the UK and Europe. These programs are designed to provide career insights and mentorship for undergraduate and postgraduate students from underrepresented groups throughout the region. Each program consists of an exclusive one-day career insight event with technical and business challenges, networking opportunities and an eight week, one-to-one mentoring relationship with a Googler. We’ll help you develop skills and industry knowledge for both technical and business careers at Google and beyond. CodeF is for female computer scientists. Last chance to apply online for UK CodeF is October 28, 2012. 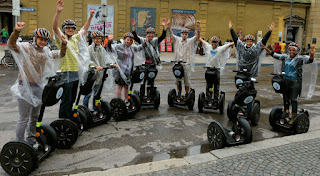 We are accepting applications for Germany/Switzerland CodeF until November 11, 2012. TechAbility is for disabled students interested in technical or business careers at Google. This effort is in partnership with EmployAbility. We’re currently accepting applications from across Europe until October 28, 2012. Top Black Talent is a UK-based program for black students interested in technical or business careers at Google. This effort is in partnership with ACS and Rare. We’re accepting applications from now until November 14, 2012. For more information about diversity at Google please visit google.com/diversity. in Israel recently co-sponsored Hackathon@Nazareth, a 48 hour long hackathon style event, partnering with Tzofen, a non-profit organization that aims to integrate the Israel-Arab community into the high-tech industry. This Hackathon was the first of it's kind to be held in Northern Israel and the first one aimed to bring Israeli and Arab developers together. For the first time, we got to see the real talent behind the Israel-Arab tech community. Over 60 Arab Israeli computer science students, computer scientists and developers from schools such the Technion, Haifa University, Hebrew University and Tel Aviv University got together for 48 hours to turn ideas into reality. During the event, the students finally had the chance to turn their academic knowledge into innovative new software products, experience teamwork and create a new network with both Arab and Jewish experienced engineers. Yossi Matias, Managing Director of Google's R&D Center, opened the event with a warm welcome speech to more than 80 attendees. Later on, the students pitched their ideas to the crowd and picked 14 ideas to work on during the event. The positive energy and the mentors helped keep the participants coding all night long, which allowed them to build web and mobile applications based on their own ideas. Just before saying goodbye, all the teams presented their project demos before a panel of distinguished judges from the Israeli startup scene who gave them constructive feedback on their demo. Some of the more promising ones were theFridge, which allows roommates to maintain their household easily and efficiently and AroundRoid, an application that combines task management with location-based services. This event triggered a greater interest in planning more coding events in the region. 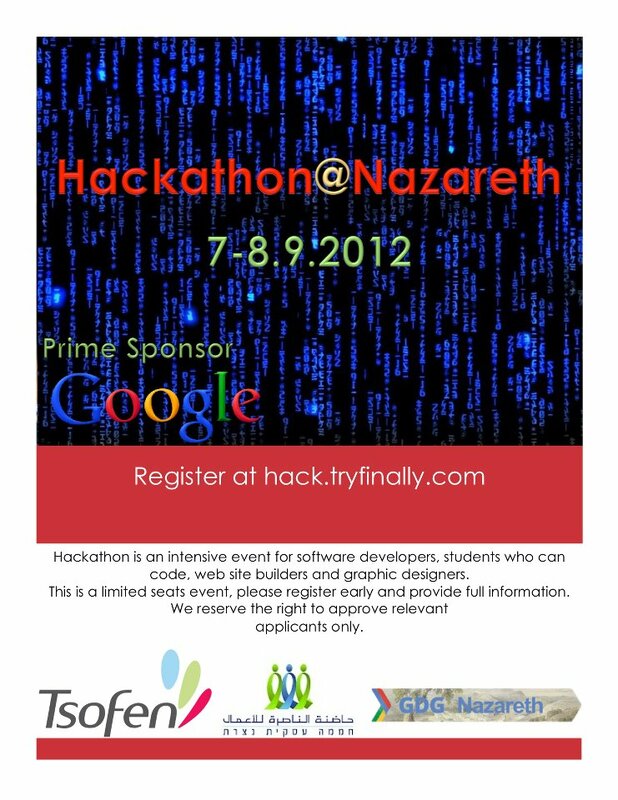 Our Google developer communities will be planning more events in Nazareth in the future. For more information related to developers activities in Israel, check out our GDG ISRAEL G+ channel. 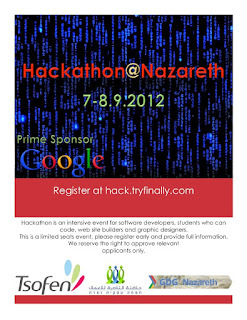 Google’s R&D Center in Israel recently co-sponsored Hackathon@Nazareth, a 48 hour long hackathon style event, partnering with Tzofen, a non-profit organization that aims to integrate the Israel-Arab community into the high-tech industry. Time flies! It seems like just yesterday I attended the Intern Orientation on the first day of my internship, but now I feel as if I have been on my team for years. As my last day is approaching, I am starting to feel a pang of sadness to leave my team, but I am confident and grateful that I have gained in-depth knowledge and experience in just nine weeks of my internship. I also feel lucky to have my mentor who has been very supportive and I worked very closely with another intern and her mentor. It has been a great learning experience to work together as a team. As an intern, I joined the Talent and Outreach Programs team that designs and delivers initiatives to attract a talented and diverse workforce and raise awareness of the Google employment brand. My intern project was to do research on and design initiatives for students with disabilities. I started by identifying and building relationships with organizations that support students with disabilities. Through these relationships, I then mapped out the talent market by school and major. 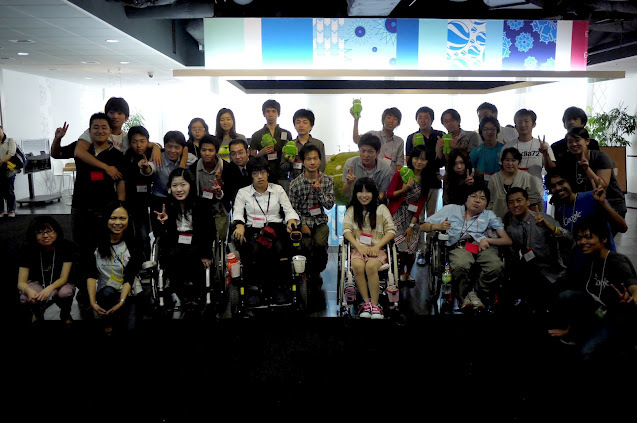 Based on this research, I was able to plan and execute our first-ever ‘Google Diversity Workshop’ inviting 20+ students with disabilities to the Tokyo office! The students came from all over Japan. As one of the main organizers of the event, I moderated the panel discussion where we featured two of our disabled Googlers. I also facilitated the group discussions where the participants built on their discussion and presentation skills. It was exciting to see the students enjoy and tackle the project, however, the highlight for me was the dedication of the Googlers who volunteered. This event was a success thanks to the 13 Googlers who came from various functions including HR, Sales, and Engineering. They trusted me and gave me helpful advice throughout the event. I saw firsthand how supportive and encouraging Googlers are. During the last week of my internship, I gave a tech talk about my intern project. It was a great way for me to share what I had worked on over the summer. I hope Google will continue to hold events for students with disabilities, not only in Japan, but in other countries to raise awareness of the diverse Google culture. Also we would provide opportunities like group work and mingling with other disabled students and Googlers. 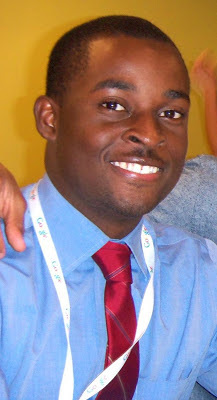 My experience at Google has made a big impact on me and has equipped me with the knowledge and skills to become a Googler. Now I am sad to leave, but I am ready for the next stage in my career and make a big impact to the world! It seems like just yesterday that I was wandering around the Googleplex as a wide-eyed freshman during my first internship at Google. Fast-forward four years and I’ve just finished up my fourth Google internship and am now starting my fifth year of college as a masters student. Along the way I've acquired some skills that have helped me tremendously when it comes to interviewing. It goes without saying that technical abilities are extremely important. However, there are many other skills that can help you land that dream job. Before interviewing, I spent hours practicing interview questions to not only help my technical skills, but also my conversational skills. Remember, you only have one or two interviews to showcase yourself. You need to be able to make a lasting impression (in a good way of course)! Practicing communication skills is something many technically-oriented people overlook. With that, my first tip is to take a break from the algorithms and data structures and practice talking about yourself. What makes you passionate about this position? What value would you bring to the company? Record yourself and watch it! You’ll probably notice many filler words such as “ums” and “uhs” that you can eliminate with a little bit of practice. Being aware of the image you're projecting is extremely important. It’s extremely uncomfortable to do, but it will show you where improvements can be made to the image you cast. During the interview, try remembering you’re talking to another human being who’s most likely very friendly! Many people view the interview as an adversarial conversation, but treat it as the opposite. Every Google interview I’ve had was relaxed because I didn’t feel ashamed speaking my mind; this included asking for help when I got stuck. That’s completely fine to do! They’re looking to see how you think, not just getting the “correct” answer every time. Additionally, always be sure to show your passion. It’s so much more engaging to have a discussion with someone who loves what they’re working on, rather than someone who is indifferent about their job. Always keep trying new things to find that passion inside you, and be sure to project it in your conversations! Finally, make sure to always have questions for the interviewer at the end. It shows that you have an interest in the position and you have done your research. This is the time for you and the interviewer to find common interests and passions, which helps gauge your cultural fit in the company. Hope these help and happy interviewing! 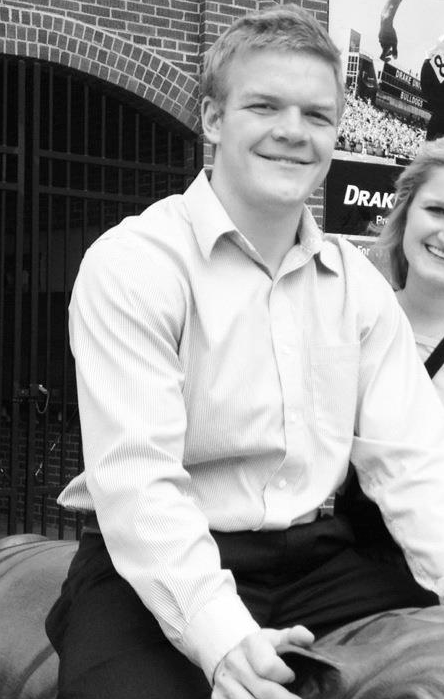 series with a post from Nels, a junior at the University of Minnesota studying operations management, and information systems. Nels recently attended the first ever AdCamp, a four day program for rising juniors interested in advertising and sales. During the school year I know I am going to have a good morning when I am able to get up and eat a bowl of Cheerios before class. Back in May, there was a Wednesday where I completely forgot my cereal, because I was too excited to even think. That morning I had gotten my acceptance email to be a part of Google’s AdCamp program. I may not have gotten my daily dose of oats, but that was the last thing on my mind. AdCamp is a four-day program for rising juniors at Google’s New York office. Campers are able to learn from seasoned Googlers about the company’s products, and also about the company’s strategies for servicing their clients. The camp was a healthy balance between work and play. The work happened during the day. Daily sessions were set up as fast paced discussions. We worked closely in teams, and had the opportunity to test our speaking skills in front of the large group. Between our sessions, we were able to explore the office and learn about the hidden perks of being at Google; it only took five minutes of wandering to realize how special Google is. On the last day of AdCamp we had a case competition. The Googlers presented us with a live case that Google employees were working through. We used all of the tools that we learned at camp, and in under three hours, we created a presentation for a panel of judges. The competition was fierce but in the end our team put together a great presentation and had a lot of fun. When we weren’t being students, we were tourists. 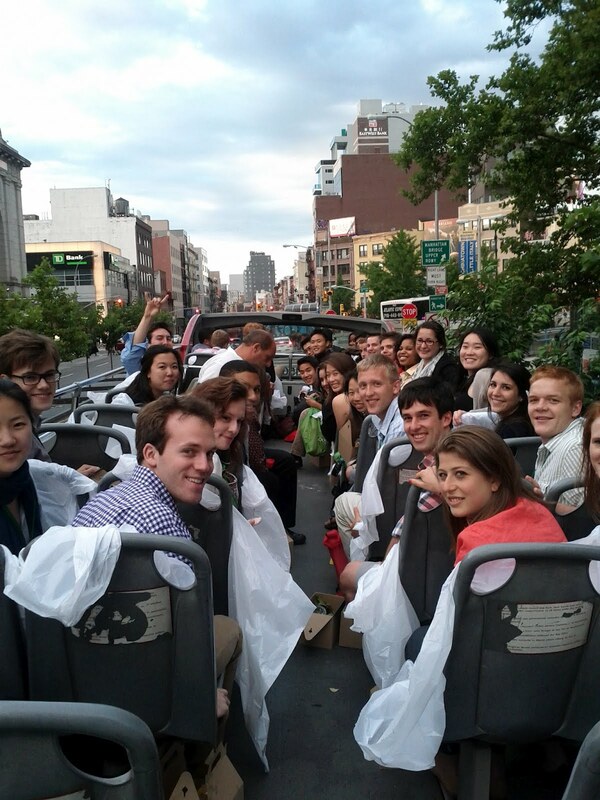 Each night our program leaders would take us out to explore the city. We went on a double-decker bus tour through Times Square & Brooklyn, walked along The Highline park in the Meatpacking District, and went out for an authentic New York style Italian meal (which took a few weeks to fully digest!). But my favorite part of the trip had to be the people that I met. All of the campers were from different places, and had different stories to tell. 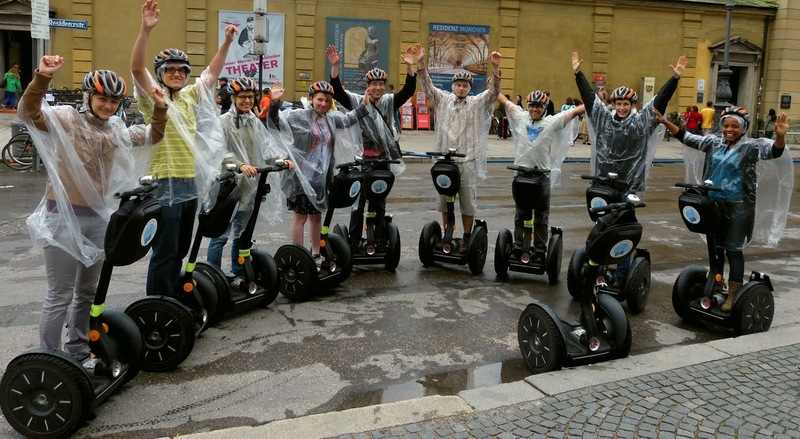 By the end of the trip we became a very tight-knit group. If I ever make my way out to either coast, I have a long list of new friends to visit. The Googlers were also special. The little things were what stood out to me. Every employee was willing to help when I needed it, and they all walked around with a big smile. Our program leaders were amazing. I never felt like I had to impress them. They treated me like a friend instead of a prospect. I am not very emotional, but I gave out quite a few hugs at the end of the trip. I left AdCamp with confidence that I could do anything. In four days I built up a wealth of knowledge that I am still tapping into today. AdCamp taught me the skills that I need to thrive in any fast paced environment. Lastly, I learned with a bit of teamwork and a bit of fun - anything can happen. Interested in AdCamp? Applications will be available here in Spring 2013. Introduction: We continue the My Summer @ Google series with a post from Nels, a junior at the University of Minnesota studying operations management, and information systems. Nels recently attended the first ever AdCamp, a four day program for rising juniors interested in advertising and sales.